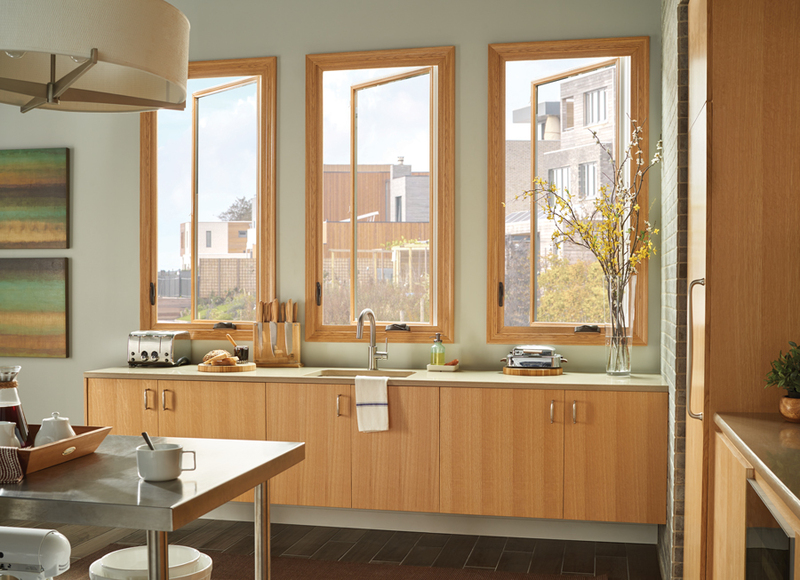 Casement windows are hinged on one side of the upper and lower portion of the window frame. The window will open with a crank operator located at the bottom of the window. This will allow the window to open like a door. Great Lakes Comfort Smart Casement windows come standard with fold away handles and a multipoint lock system for you ease of use and safety. Our casement windows come standard with a foam filled frame and sash ( the portion of the window that will open.) Casement windows are known to have the best air infiltration rate due to the multipoint lock and hinge systems. These windows usually have an unobstructed view, which is pleasing to the eye.